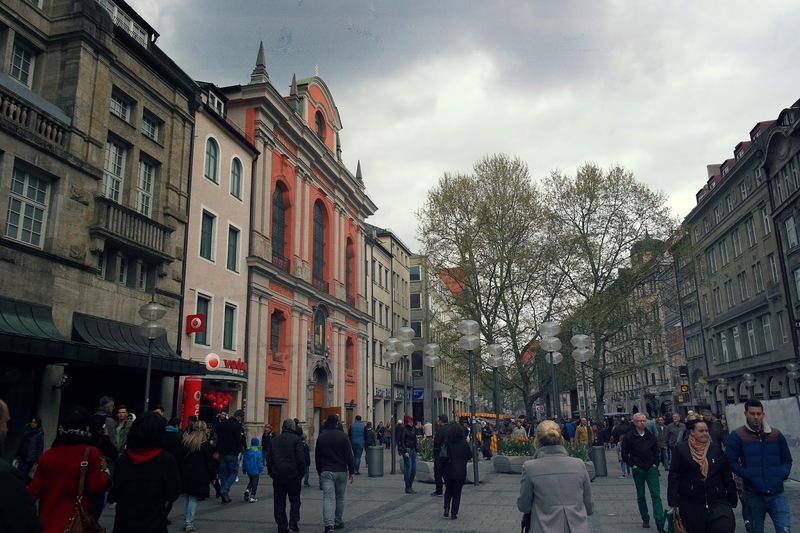 On our way to Budapest, we stopped in Munich for a day and wandered around the city for a few hours. Munich is actually one of the first cities I visited when I was in middle school with my german class, but we barely spent a couple of hours there and it was a long time ago. Though I could tell I had been there before, it felt pretty new, and just like about everywhere in Germany it was a very pleasant and nice city. 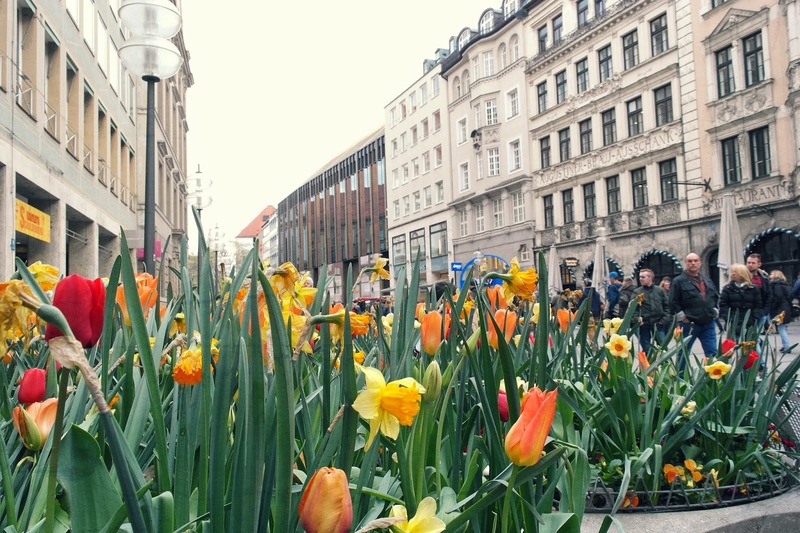 Despite the cold and clearly not enough hours of sleep, I definitely enjoyed spending some time in the city, discovering some amazing churches, enjoying some hot tea near the Rathaus and walking among fruits and vegetables on a streetmarket. Ah Germany I already miss you. Ca me fait très plaisir de constater que je ne suis pas la seule personne sur cette planète qui continue à voyager en train! C'est tellement plus charmant que l'avion, tellement plus "vrai", on sent le voyage, quoi! I love the pictures! It reminds me so much when I visited München 5 years ago!! I always enjoy looking at your photographs, especially ones of cathedrals!